Joseph, J., (2018), Twenty-Two Invalidating Aspects of the Minnesota Study of Twins Reared Apart (MISTRA) (FULL VERSION), published online November 6th. Joseph, J., (2018), Twenty-Two Invalidating Aspects of the Minnesota Study of Twins Reared Apart (MISTRA) (ABRIDGED VERSION), published online November 6th. Joseph, J. (2017). 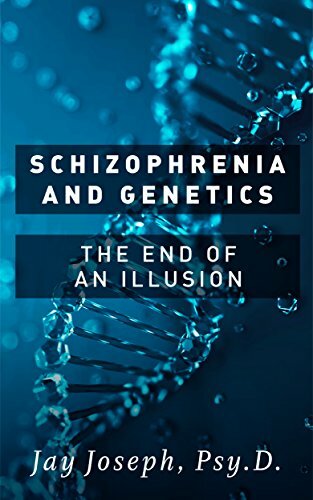 Schizophrenia and Genetics: The End of an Illusion. E-Book. Joseph, J. (2016, November). "Bewitching Science" Revisited: Tales of Reunited Twins and the Genetics of Behavior. November, 2016 revised pdf version. Joseph, J. (2016, January 18). Schizophrenia and Genetics: A Closer Look at the Evidence. [Web log post, Mad in America “The Gene Illusion in Psychiatry and Psychology﻿]. Joseph, J. (2015, November 2). Twin Studies are Still in Trouble: A Reply to Turkheimer. [Web log post, Mad in America, “The Gene Illusion in Psychiatry and Psychology”]. Joseph, J., Chaufan, C., Richardson, K., Shultziner, D., Fosse, R., James, O., Latham, J., & Read, J. (2015). The Twin Research Debate in American Criminology. Logos, 14 (Nos. 2-3). Published online 8/9/2015. Joseph, J. (2014). Human Behavioral Genetics. In T. Teo (Ed. ), ﻿Encyclopedia of Critical Psychology﻿ (pp. 151-156). New York: Springer. Joseph, J. (2013). 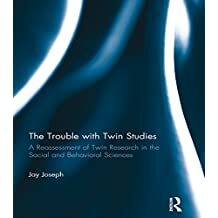 The Use of the Classical Twin Method in the Social and Behavioral Sciences: The Fallacy Continues. Journal of Mind and Behavior, 34, 1-39. Joseph, J. (2013). ﻿Schizophrenia and Heredity: Why the Emperor (Still) Has No Genes.﻿ In J. Read & J. Dillon (Eds. ), Models of Madness: Psychological, Social and Biological Approaches to Psychosis (2nd ed.) (pp. 72-89). London: Routledge. Chaufan, C., & Joseph, J. (2013). The Heritability of Common Disorders is "Missing": Should Health Researchers Care? International Journal of Health Services, 43, 281-303. Joseph, J. (2013). The Lost Study: A 1998 Adoption of Study of Personality That Found No Genetic Relationship Between Birthparents and Their 240 Adopted-Away Biological Offspring. In R. Lerner & J. Benson (Eds. ), Advances in Child Development and Behavior, 45, 93-124. San Diego, CA: Elsevier. Joseph, J., & Ratner, C. (2013). The Fruitless Search for Genes in Psychiatry and Psychology: Time to Re-Examine a Paradigm. In S. Krimsky & J. Gruber (Eds. ), Genetic Explanations: Sense and Nonsense (pp. 94-106). Cambridge, MA: Harvard University Press. Joseph, J., & Wetzel, N. (2013). Ernst Rüdin: Hitler's Racial Hygiene Mastermind. Journal of the History of Biology, 46, 1-30. Joseph, J. (2013). Genetics and Mental Health. In M. Shally-Jensen, (Ed. ), Mental ﻿Health Care Issues in America: An Encyclopedia (Vol. 1; pp. 300-307). Santa Barbara, CA: ABC-CLIO. Joseph, J. (2012). The "Missing Heritability" of Psychiatric Disorders: Elusive Genes or Non-Existent Genes? Applied Developmental Science, 16, 65-83. Joseph, J. (2011). A Human Genetics Parable. Journal of Mind and Behavior, 32, 209-221. Joseph, J. (2011). The Crumbling Pillars of Behavioral Genetics. GeneWatch, 24 (6),4-7. Joseph, J. (2010). The Genetics of Political Attitudes and Behavior: Claims and Refutations. Ethical Human Psychology and Psychiatry, 12, 200-217. Joseph, J. (2010). Genetic Research in Psychiatry and Psychology: A Critical Overview. In K. Hood, C. Tucker Halpern, G. Greenberg, & R. Lerner (Eds. ), Handbook of Developmental Science, Behavior, and Genetics (pp. 557-625). Malden, MA: Wiley-Blackwell. Joseph, J. (2009). ADHD and Genetics: A Consensus Reconsidered. In J. Leo & S. Timimi (Eds. ), Rethinking ADHD (pp. 58-91). London: Palgrave MacMillan. the book Coercion as Cure: A Critical History of Psychiatry]. PsycCRITIQUES, 53, Issue 15. Joseph, J. (2007). Peter Breggin. Ethical Human Psychology and Psychiatry, 9, 152-154. Joseph, J., & Leo, J. (2006). Genetic Relatedness and the Lifetime Risk for Being Diagnosed with Schizophrenia: Gottesman's Figure 10 Reconsidered. Journal of Mind and Behavior, 27, 73-89. Joseph, J. (2005). Comments About Frank Miele's Article "The Revival of Human Nature [does not equal] the Denial of Human Nature" [Letter to the editor]. Skeptic, 11 (3), 24-26. Joseph, J. (2005). The 1942 Euthanasia Debate in the American Journal of Psychiatry. History of Psychiatry, 16, 171-179. Journal of Psychiatry, 162, 1985.
from Infancy to Adulthood] (pp. 361-411). Coimbra, Portugal: Almedina. Joseph, J. (2004). The Fruitless Search for Schizophrenia Genes. Ethical Human Psychology and Psychiatry, 6,167-181. Joseph, J. (2004, January/February). Schizophrenia Illusion. Openmind, 125,13. Joseph, J. (2004). Schizophrenia and Heredity: Why the Emperor Has No Genes. In J. Read, L.
Mosher, & R. Bentall (Eds. ), Models of Madness: Psychological, Social and Biological Approaches to Schizophrenia (pp. 67-83). Andover, UK: Taylor & Francis. Joseph, J. (2004). More Mythmaking in Psychiatric Genetic Research [Letter to the editor]. Ethical Human Psychology and Psychiatry, 6, 231-232. Joseph, J. (2003). Genetics and Antisocial Behavior. Ethical Human Sciences and Services, 5, 41-44. Academy of Child and Adolescent Psychiatry, 41, 1389-1391. Joseph, J. (2002). Anti-intellectualism and Genetics. Psychological Reports, 91, 231-232. Sciences and Services, 4, 151-153. Leo, J., & Joseph, J. (2002). Schizophrenia: Medical Students are Taught It's All in the Genes, But Are They Hearing the Whole Story? Ethical Human Sciences and Services, 4, 17-30. Joseph, J. ( 2001). The Danish-American Adoptees Family Studies of Kety and Associates: Do They Provide Evidence in Support of the Genetic Basis of Schizophrenia? Genetic, Social, and General Psychology Monographs, 127, 241-278. Joseph, J. (2001). Don Jackson's A Critique of the Literature on the Genetics of Schizophrenia: A Reappraisal After 40 Years. Genetic, Social, and General Psychology Monographs,12, 27-57. Joseph, J. (2001). Is Crime in the Genes? A Critical Review of Twin and Adoption Studies of Criminality and Antisocial Behavior. Journal of Mind and Behavior, 22, 179-218. Joseph, J. (2001). Separated Twins and the Genetics of Personality Differences: A Critique. American Journal of Psychology, 114, 1-30. Joseph, J. (2000). A Critique of the Spectrum Concept as Used in the Danish-American Schizophrenia Adoption Studies. Ethical Human Sciences and Services, 2, 135-160. Joseph, J. (2000). Inaccuracy and Bias in Textbooks Reporting Psychiatric Research: The Case of the Schizophrenia Adoption Studies. Politics and the Life Sciences, 19, 89-99. Joseph, J. (2000). Potential Confounds in Psychiatric Genetic Research: The Case of Pellagra. New Ideas in Psychology, 18, 83-91.
and Publication. International Journal of Risk and Safety in Medicine, 13, 117-127. Mind and Behavior, 20, 133-154. Joseph, J. (1999). The Genetic Theory of Schizophrenia: A Critical Overview. Ethical Human Sciences and Services, 1, 119-145. Joseph, J. (1998). The Equal Environment Assumption of the Classical Twin Method: A Critical Analysis. Journal of Mind and Behavior, 19, 325-358.
doctoral dissertation, California School of Professional Psychology, Alameda.